'Think of me as one at rest..."
Whether they are read during funeral services, or in private moments by those who grieve, poems can mirror our feelings of loss, reflect the personality of those no longer with us, and give us hope for a future without them. 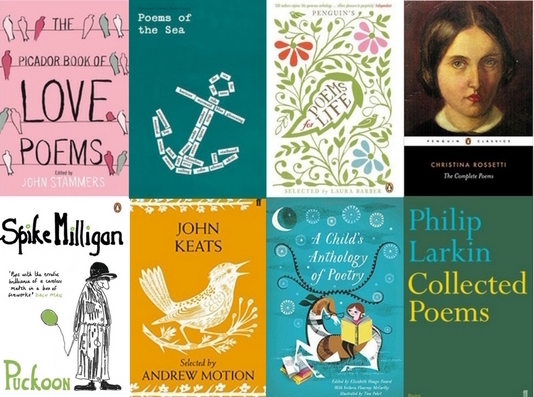 The most popular poem choices are, unsurprisingly, those that have a comforting theme. But what's particularly interesting is virtually all of the most frequently requested poems families ask me to read are written from the perspective of the deceased. Their husband, mother, brother, daughter is speaking directly to them, and the message they want to share is that they are at peace, they lived a good life, they loved and were loved, they live on. And they want their loved-ones to live their lives too. That says a lot about what grieving people feel comforted by and need to hear. Speak to me in the easy way which you always did. or you can do what he’d want: smile, open your eyes, love and go on. And life goes on without me now, as time forever will. And those of you who loved me, I thank you most of all. Matters it now if time began, if time will ever cease?